For those of us who work in an office, we’ll most likely be sitting (or standing) in one spot all day. When you add up all the hours, it’s quite possible that you spend more time sitting at your office desk than you do on your sofa at home, so making your office space as personal and comfortable as possible is something that makes a lot of sense. Being surrounded by things that make us happy and feel at ease can hugely improve our productivity levels and make us generally happy in our work. This kind of job satisfaction can then run through the rest of our lives, keeping us happy and mentally fit for as much of the time as possible. So, here are some great tips for decorating your office desk to ensure you feel at home, even when you’re at work. Bringing a plant into work for your desk can make all the difference in both the spot’s appearance and how you feel about it. The plant itself will immediately brighten up your desk, even if it isn’t flowering and only has green leaves at the moment. Another bonus of having a plant on your desk is that studies have shown that it speeds you up in your work, sometimes by as much as 12%. The reasons for this are still being researched, but it could have something to do with the boost of oxygen you’re getting. There is something wonderful about buying new stationery – it can feel soothing and almost like a fresh start. New pens, pencils, a notebook or sticky notes all contribute towards feeling as though you can get through any task that is required of you. When you find something quirky and fun, something that suits your personality or your likes and hobbies, that’s even better. Putting these items on your desk can be a good way to show that you’re not just part of the corporate machine, and this is often something that we need to remind ourselves about. Staring at screens all day isn’t good for our eyes or our minds, although it is totally necessary when it comes to work. Having a good book on your desk can be a great way to give your eyes a rest from the screens. When you’re on your break don’t pull out your smartphone or tablet – read your book instead. However, it’s important to not let the book distract you from your work. Snacks are a great addition to any desk because no matter how focused you are on your work, you are going to need a pick-me-up from time to time. Don’t have too many sugary snacks, though – it’s far better to have snacks like dried fruit or nuts which will boost your energy levels and are good for your body too. Make sure you also have a bottle or cup of water on your desk. It’s a good idea to sip water throughout the day rather than drinking a whole glass all at once when you’re on a break. Your body can absorb the slow intake much better, so it will make you feel more awake and energised. 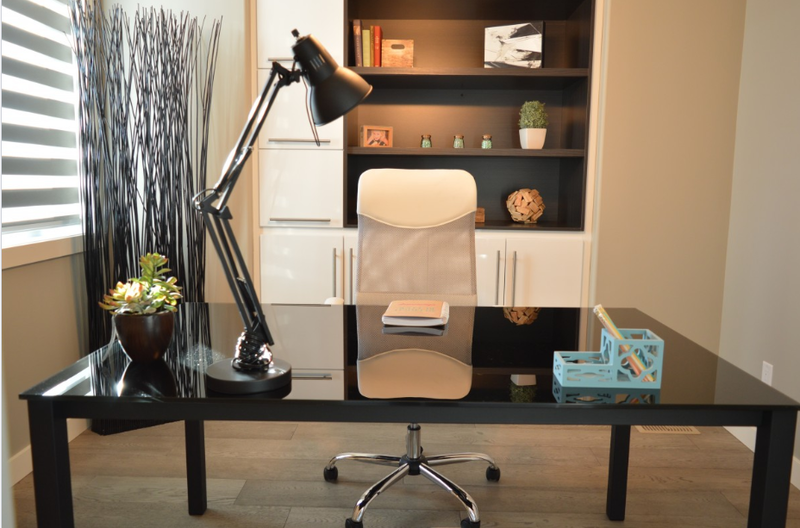 Depending on the lighting that you have in your office, a desk lamp just for you could be a truly useful addition to your desk. 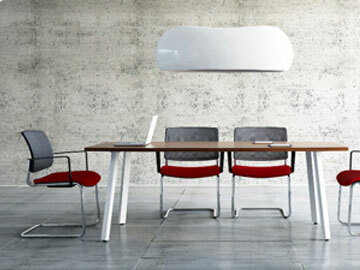 This can add a lovely atmosphere to your workspace and make it a cosy place to be. There are so many different styles of desk lamp available that you don’t have to stick with something traditional if you don’t want to. Instead you can opt for something weird and wacky – as long as you love it, that’s the important part.